This activity too can be created with things available at home. Stick the wall hooks on the wall not very far from each other. The distance between the two should be so much that the child can perceive. Child may lose interest if they are very far from each other. Thread the beads together and just tie the thread to both the wall hooks. 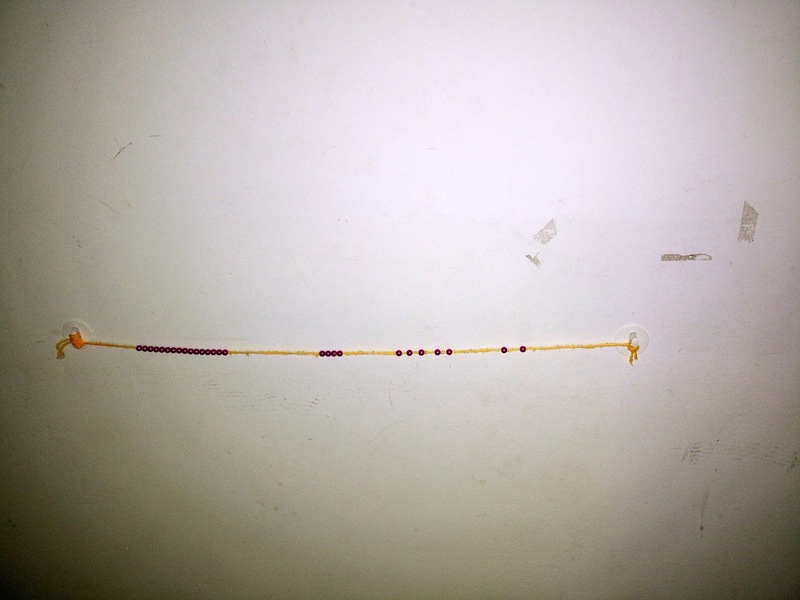 Ask the child to keep moving each bead from one end to another. This one is sure fun to play, also teaches numbers and counting. My toddler gets excited as she holds on to each bead and keeps moving to the other end.